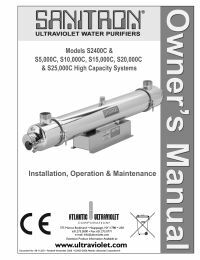 The Sanitron S10,000C Ultraviolet Water Purifier utilizes germicidal ultraviolet lamps that produce short wave radiation lethal to microorganisms present in water such as bacteria and viruses. 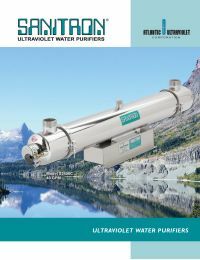 The S10,000C is the ideal solution for an ever growing range of water treatment applications. Maximum recommended operating pressure for all purifiers is 100 p.s.i. Pressure drop at maximum recommended flow rate is less than 5 p.s.i. Easy - Simple installation and care. Compact units require minimum space.